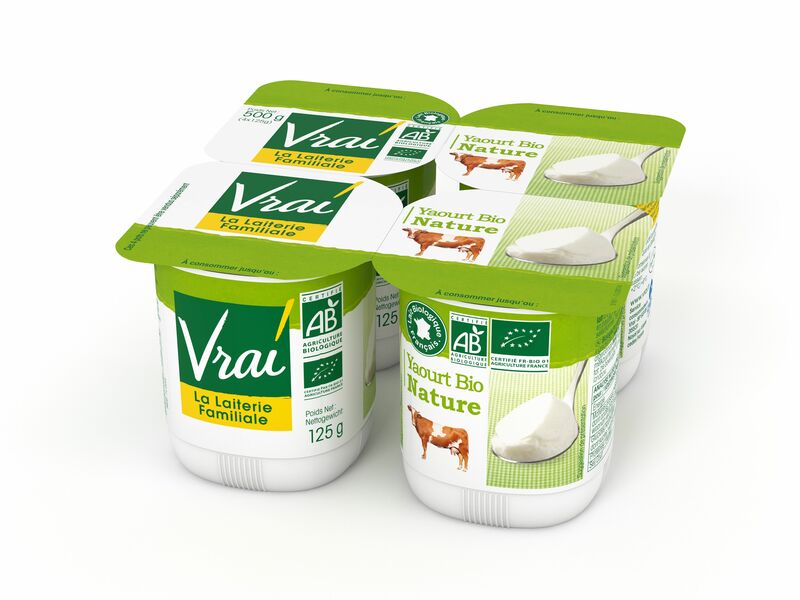 Packaging machine manufacturer IMA Erca has developed a new 125g cup for French dairy producer Triballat-Noyal’s organic brand Vrai. The cup has a curvilinear square bottom, making it easier to spoon out the yogurt. It is made of environmentally efficient polystyrene (PS) foil in the new Triballat plant in Noyal-sur-Vilaine in Brittany. The plant opened in spring 2015 and is already producing 25,000 tons of organic products per year in about 10,000 sqm during normal operations. To achieve this kind of performance, the dairy group also invested in a new forming, filling and sealing machine by IMA Erca. The EF 320L can process 20,000 cups per hour, which Triballat is using in its ultra-clean hygienic area.